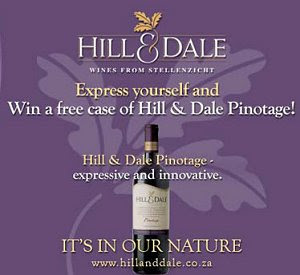 Hill and Dale is a second label for Stellenzicht and is made by the same winemaker, the talented Guy Webber. *the rules actually say the competition is open to all South Africans, it doesn't specify their location. **the rules don't state whether a case means 12 bottles.